Mass coral bleaching events have occurred on a global scale throughout the world’s tropical oceans and can result in large-scale coral mortality and degradation of coral reef communities. Coral bleaching has often been attributed to periods of above normal seawater temperatures and/or calm conditions with high levels of ultraviolet radiation. Unusually high shallow-water temperature (>29°C) in Kaneohe Bay, Hawaii, USA, in late summer (20 August–9 September) and fall (1–7 October) of 1996 produced visible bleaching of two dominant corals, Porites compressa Dana, 1864 and Montipora verrucosa Dana, 1864. The present study examined chlorophyll a (chl a), total lipid concentrations, and lipid class composition in corals of both species in which the entire colony was non-bleached, moderately bleached, or bleached. Skeletal, host tissue, and algal symbiont δ13C values were also measured in non-bleached and bleached colonies. In additional unevenly bleached colonies, paired samples were collected from bleached upper surfaces and non-bleached sides. Samples were collected on 20 November 1996 during the coral recovery phase, a time when seawater temperatures had been back to normal for over a month. Chl a levels were significantly lower in bleached colonies of both species compared with non-bleached specimens, and in bleached areas of unevenly bleached single colonies. Total lipid concentrations were significantly lower in bleached P. compressa compared with non-bleached colonies, whereas total lipid concentrations were the same in bleached and non-bleached M. verrucosa colonies. The proportion of triacylglycerols and wax esters was lower in bleached colonies of both species. Both bleached and non-bleached M. verrucosa had from ~17% to 35% of their lipids in the form of diacylglycerol, while this class was absent in P. compressa. δ13C was not significantly different in the host tissue and algal symbiont fractions in non-bleached and bleached samples of either species. This suggests that the ratio of carbon acquired heterotrophically versus photosynthetically was the same regardless of condition. Skeletal δ13C was significantly lower in bleached than in non-bleached corals. This is consistent with previous findings that lower rates of photosynthesis during bleaching results in lower skeletal δ13C values. 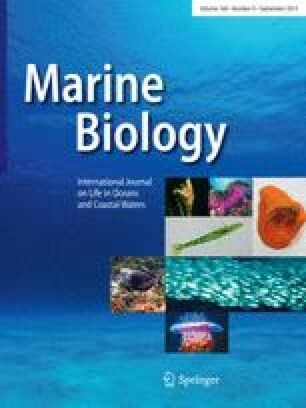 The two species in this study displayed different lipid class compositions and total lipid depletions following bleaching, suggesting that there is a difference in their metabolism of lipid reserves and/or in their temporal responses to bleaching and recovery. We thank the Hawaii Institute of Marine Biology (HIMB), P. Jokiel and all members of HIMB for logistical field support, E. Druffel for her encouragement, R. Harvey for the lipid class analyses, M. Lesser, and two anonymous reviewers for their insightful comments, as well as C. Grottoli, R. Dunbar, and D. Mucciarone. Funding for this study was provided to A.G. by the PADI Foundation, the Mellon Foundation, EPA STAR Fellowship, Dreyfus Postdoctoral Fellowship, and to L.R. by a William Penn Fellowship. This research complies with the current laws of the country in which the research was performed.